​I am happy that you have found your way to the Mascenic Learning Commons webpage! I have tried to gather all of the information you need to make your Learning Commons experience as easy and as useful as it can be! Click on Databases/Blackboard to get access to databases from Gale and EBSCO. These are crucial tools in your research kit. You can also access the Mascenic Online Catalog and login to Blackboard from here. You can request books for library purchase by clicking on Book Requests. And for teachers looking to reserve the library for classes, check availability and request a reservation by clicking through the LC Availability tab. LC News and New Arrivals!! Be sure to check the New To Us section to find out what is newly arrived in the LC! See all the new arrivals here! Is there a book the Mascenic LC should have? Tell Mr. Franz and he will order it lickety-split! 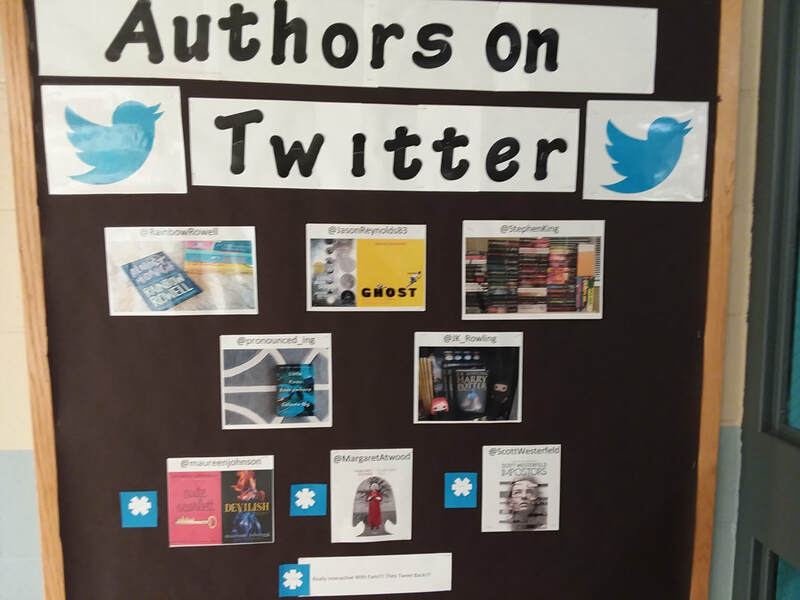 Following your favorite authors on Twitter is a great way to understand them and their work. It's fun, too! Sometimes they even Tweet back and that is a special kind of awesome! Here are some links to lists of great writers who are great Twitter follows!